A 14-year-old worker has been found dead after working at an electronics factory in China that may make products for Asus, another potential case of underage labor abuse in the country. Liu Fuzong died on May 21 while employed at a factory in Dongguan, said the city’s local human resources office in an email on Thursday. Liu’s body had turned cold when discovered by a co-worker in his dorm, and was later pronounced dead at a hospital. Authorities have yet to elaborate on the cause of death. The factory, which is listed as a facility from Taiwanese electronics supplier 3CEMS, builds products for PC maker Asus, according to New York-based China Labor Watch, which has been investigating the incident. Chinese labor laws forbid factories from employing workers younger than 16. Liu, however, was sent to the factory through a third-party labor dispatch company that used the identification of an older worker to register his employment, according to the city’s local human resources office. Authorities have been unable to find the labor dispatch company, but the city has already punished the factory for employing underage labor in this case. An Asus product manager said on Friday via email that the company holds the highest ethical standards and has sent representatives to investigate. She didn’t confirm or deny that the factory in question builds products for Asus. On its website, 3CEMS lists other technology vendors as clients, including Samsung, Hewlett-Packard, Dell, Sony and Sharp. China Labor Watch said that this particular 3CEMS factory builds products for Asus, based on its interviews with workers there. IDG News Service called the 3CEMS factory in Dongguan several times, but those answering the phone declined to respond to questions. A 3CEMS representative in the U.S. said on Thursday he was unaware of the worker’s death. China Labor Watch said workers at the factory log 12 hours shifts each day. Student workers interviewed at the facility include some under the age of 16, according to group. 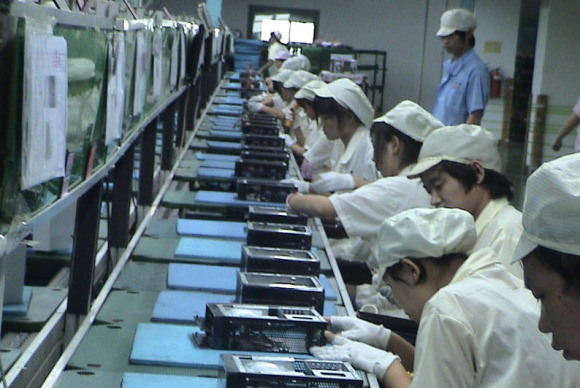 The use of underage labor is a common problem at Chinese electronics factories. Earlier this year, Apple said it severed ties with one of its Chinese suppliers after finding that it had employed workers under the age of 16.